Imagination makes your writing soar. It gives a lift and momentum to your writing in the same way wind gives a lift to a sailboat. Imagination invites your readers into a new world they have never seen or experienced before. It opens a door to magic and wonder. But how do we access, hone, and liberate the inspiration and power of imagination that is in us all? Our idea that we must always be energetic and active is all wrong. Bernard Shaw says that it is not true that Napoleon was always snapping out decisions to a dozen secretaries and aides-de-camp, as we are told, but that he moodled around for months. Of course he did. And that is why these smart, energetic, do it now, pushy people so often say: ‘I am not creative.’ They are, but they should be idle, limp and alone for much of the time, as lazy as men (or women) fishing on a levee, and quietly looking and thinking, not willing all the time. This quiet looking and thinking is the imagination: it is letting in ideas. But to proceed. Writing is an art to be loved and savored. It is an activity to be enjoyed, just as Ueland emphasizes in her book. Above all, as I was saying before, writing is an opportunity to engage our imagination in a way that perhaps we never experienced before. One of the books that brought me the most pleasure in my own writing career was an animal fable that I entitled, The Raven Who Spoke with God. How this book unfolded from just a glimmer of an idea to a published book that was translated into 11 foreign-language editions illustrates, I think, Brenda Ueland’s message about inspiration and imagination from long ago. I’ve spent much of my life alone with nature, and I love animals. The idea that we are intimately connected in a pattern of oneness with animals has been gestating in me for a long time. One day soon after I moved to Colorado from British Columbia in 1998 to marry my wife JoAnn, an idea for a new book just popped easily and effortlessly into my mind without any trying on my part. I thought to myself, “Wouldn’t it be fun to write a book about integrity in which the hero would be not a person but an animal.” So I let this idea just “moodle” around in my mind, like Ueland suggested, until one day, browsing in Barnes and Noble, I happened to notice a book called “Mind of the Raven,” by Bernd Heinrich. It was love at first sight. I grabbed the book from the shelf, knowing instinctively that a Raven would be a perfect animal for my new book. Oh my, did that book get a good going over. I absorbed every piece of information that Heinrich, a professor of biology at the University of Vermont, had to share about ravens, including his deep appreciation for this much maligned creature and its many remarkable gifts. I started writing the first draft of my book in a Starbucks close to the Denver town home where JoAnn and I lived during the early years of our marriage. Every day I would walk to Starbucks with a yellow legal pad it in my hand, and spend a couple of hours or so working on my story of a young raven named Joshua and his heroic bid to restore the true honor of the raven. I self published this book a few months later. I got the book back from the printer a day after 9/11, which in one sense, may not have been the best time to start promoting it. I promoted the heck out of it, cold calling book reviewers all across the country etc. Then one day I got a very magical email. The email was from the editor of a Spanish publishing house in Barcelona called Ediciones B. “We would like to publish your book in a hardcover edition,” she said, and offered a couple of thousand dollars as an advance. Oh my, what a happy day that was. Just to finish the story off, JoAnn and I had been thinking for a long time how lovely it would be to have a cruise in the Mediterranean. We went ahead with our cruise, making sure that we had a little time in Barcelona to meet my new editor, who kindly invited us to lunch. They did a lovely job producing the book, and with the help of an agent in London, it was followed as I say into many more foreign languages. 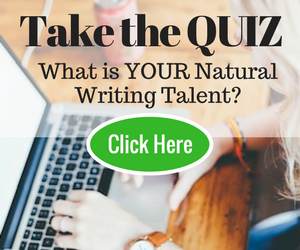 Want to write a book but not sure what to write about? Do you feel an urge to write a book, but aren’t quite sure yet what you want to write about? Here are some suggestions. I learned that you should feel when writing, not like Lord Byron on a mountaintop, but like a child stringing beads in kindergarten — happy, absorbed and quietly putting one bead on after another. 2. Amongst the great magical parade of life, where does your unique passion and imagination find its focus? For me one area is wild animals. But go deep into your own heart and find out where the magic of living really comes alive for you, because that’s what you want to be writing about. 3. Be persistent. Don’t give up. Remind yourself that you have a unique gift to give this world through your writing, and let nothing stop you giving your gift. 4. Be genuine. Personally, I believe this is the most important aspect of all. There’s no harm, of course, in listening to experts, going to writing classes etc. But at the end of the day you will be most pleased with your efforts when you know in your heart that you expressed the highest and best that is in you, in the most interesting fashion you could. Christopher Foster is an author and writing coach living in Colorado. Enjoy more posts by Chris at his blog The Happy Seeker>/a> and check out his consulting services. Great guest post Christopher. I also have problems finding new and exciting ideas. I think being persistent and not giving up like you said will do wonders for your writing. Most people I know that are and have been afluent, don’t flaunt it or apologize for it. Usually when you have it, you deserve it. That means you have worked for it and saved Being broke is different for everyone. When you let go of the uh…cultural absorption and look at religion from a anthropological point of view you find that the Christian mythos is really no different than that of say, for example the Greek mythos. I love moodle this Pr o8 site, that can give us the value of sharing. To incorporate social media you need to develop your own social media convergence/preeminence strategy. Kebabs are good, on skewers. I would also recommend making pizza on a grill, it’s great! Just buy pizza dough, grill one side, flip, add toppings and grill until it’s done. Fun and delicious. It’s also a healthier way to make “fried dough” if you just grill it. Then add sweet stuff — fruit, whipped cream, powdered sugar, etc. Beautiful post Chris, I love the word Moodle and I think your explanation of the word is much nicer that the software! It’s so true that our real inspiration comes from the stillness, when we force it, we may be able to deliver but it’s never our best material. I’m fascinated about the Raven called Joshua, what’s the name of the book? Ciara, thanks so much for your comments and your interest. I love what you say about stillness, and agree absolutely this is where our true inspiration comes from. That’s where we find our authentic originality of voice. A voice no one else can duplicate because no one else has the same gift to give that we came into the world to give — ie our spirit. Name of the book is “The Raven Who Spoke With God.” I’m not sure it’s available at Amazon anymore, it’s kind of run its cycle. But it was such fun writing it and had a big suprise a few months ago, a phone call out of the blue from a teacher in northern Colorado who invited me to her school to address her students about the book. It’s kind of nice when people make a fuss of you. They treated me like a king. This teacher had made the book the theme for a whole year’s study in one of their classes. Best wishes. What’s your main area of interest in writing? Wow what an achievement Chris, it must be amazing to see your work appreciated by so many. My writing so far it’s all non fiction. I’ve finished my first book to be published in February by an Irish publisher, name still to be agree on but it’s a business book in the area of personal productivity for success. In my blog I write about productivity and positivity, my two favorite subjects! Good Luck with your future endeavours and I will be keeping my eyes open for “The Raven who spoke with God”. Thanks Chris for your open talk. My niche is Medical Transcription. And overall if I dig into this I cant write more than 30 blog post. Am I missing anything? Pls let me know. Hi Sam. My wife JoAnn was a medical transcriptionist for an infertility clinic for several years after retiring from her job with Shell. I picked her brains. Here’s the essence of her suggestions. The transcriptionist can either be ‘impersonal’ about the job she or he is doing or can get around the long medical terms and get a feel for the patient — an empathy and love for the patient in question. Seems to me this would open a large area of territory for the transcriptionist. Putting this another way, a person could be content to go through the motions of the job, but I suggest it might then be a bit tedious. But if they are really open to developing a sense of connection with the patient in their heart, that would change the whole dynamic of the job. Blessings and best of luck Sam. Hey Chris, thanks a lot for taking time and pointing this out. It is certainly a great help. I will try writing posts that are relating to jobs and emotions in jobs this week. My problem in getting ideas for writing my blog is my niche itself. The niche is very small and there is no much topic to write. So when a niche is very small what should we do? Please help. Thanks for sharing. Look, would you be comfortable sharing what your niche is? I’d be be happy to offer any help I could but I think it would help if I knew this. I’m by no means an expert blogger but it seems to me it could be a big advantage to have a small niche — as long as we can solve this problem you have. Meanwhile blessings to you. Hey Tess, this sounds like an idea made in heaven to me. Out early on the Sunrise Trail and a bit of moodling thrown in. You’ll be raring to go by the time you get home. This is perfect because I’m going to moodle tomorrow. We’er going hiking on the Sunrise Trail early. My favorite thing to do as the heat dies down a little. I don’t like to write until I’m in a joyful mood. I feel my writing and products take on the same energy that I have when I write. It’s almost as if it’s there filling the spaces in between my words.